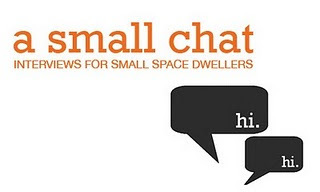 Hey guys, Rebecca and I had a "Small Chat" over on her fabulous blog Loving.Living.Small. I shared some of my design tricks for making a small space feel bigger... she asked me what I look for when vintage shopping... Check out my interview HERE!